Be sure to visit Mark Ireland's Web site to learn about his other books. 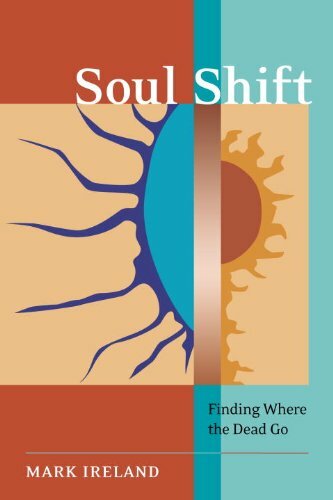 Soul Shift is available at Amazon, Barnes & Noble, Amazon-Kindle, Amazon-Canada, Amazon-UK, Fishpond-New Zealand, The Nile-Australia and also at Bookstar, B. Dalton, and independent bookstores. Businessman Mark Ireland’s father was Richard Ireland, a deeply spiritual minister and renowned psychic and medium who counted Mae West among his famous clients. While he loved his father, Mark followed a more conventional path in pursuit of mainstream success—until the wrenching death of his youngest son. This unexpected tragedy plunges Mark into the spiritual world of psychics and mediums in a frantic attempt to communicate with the dead. His defenses and pragmatic mindset begin to fade as he remembers premonitions on the day of his son’s death. He consults a number of well-known mediums and is struck by the remarkably accurate information their readings provide. Mark first meets with Allison Dubois, the subject of NBC’s hit show Medium, and later participates in a single-blind lab experiment with medium Laurie Campbell, filmed for a Discovery Channel feature. He then enters a new dimension of personal paranormal experience, as his own psychic awareness begins to unfold. This dramatic story of a father’s unbearable loss and his discovery of life after death offers hope to the bereaved and compelling evidence that death may not be the end. Enter your e-mail address and click "SUBSCRIBE."